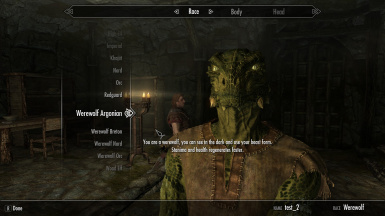 This mod allows you to start as a werewolf, without doing any ques t! 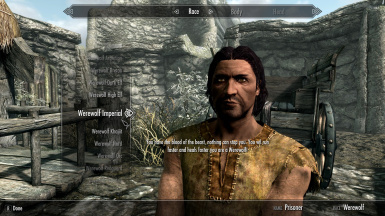 The mod is now also compitatable for all SkyrimSE Races. 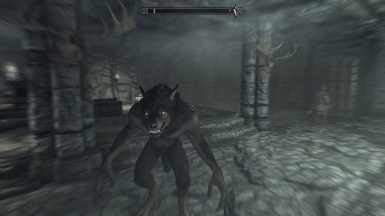 So this mod allows the game to start as a werewolf without doing any quests. It is fairly simple when you have to choose a race you can choose from the 10 regular races or the 10 counterfeit werewolf races. 1. 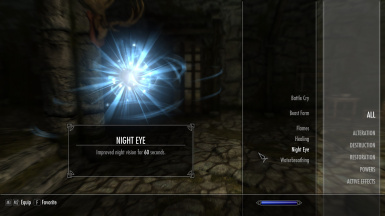 You have NightEye as an standerd ability. 2. 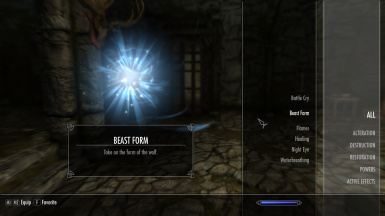 Stanima regenerates in playerform very fast. 3. 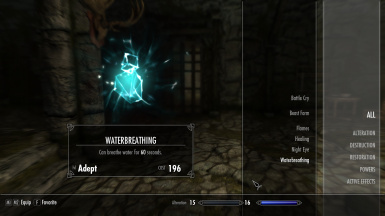 Health regenerates faster than normal. It is wise to make a save of your game before updates or beforefor using the mod because if you remove the mod theraces will no longer exist and the game will crash immediately ! 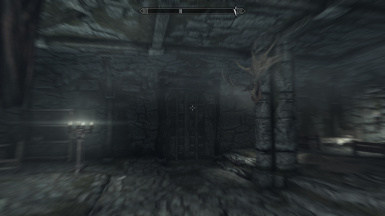 Have fun with the mod and if there are any problems or suggestions please contact me via my Nexus account. If there is a problem please contact me.